As the spring weather awakens a more colorful world, I thought I would share a couple of sites that I use for color inspiration in my dyeing and weaving, and truth be told to just play around on the computer. Gasp! 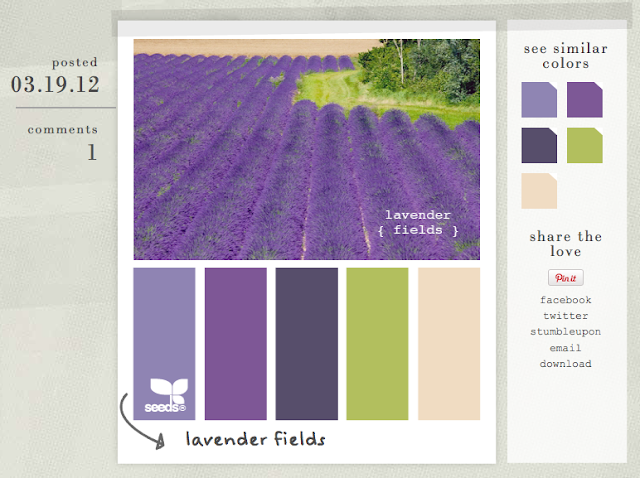 I have just found design-seeds and find them a good site for some color therapy. My favorite, is from Big Huge Labs where you can select a palette of colors based on one of your own photos as I did with this picture that I took in Mineral Point. You can find others by googling “color palette generator”, but pick a rainy day and be prepared to waste some serious time.